We will talk more about bonds below when we discuss fundamental drivers, but as far as whether the relatively high correlation to bonds of late will persist – if history is any guide, it may well fizzle out rather soon. Differently said, when it comes to gold as a diversifier, we believe the long-term case is strong, but some investors may not appreciate it when correlations to equities or bonds flares up. 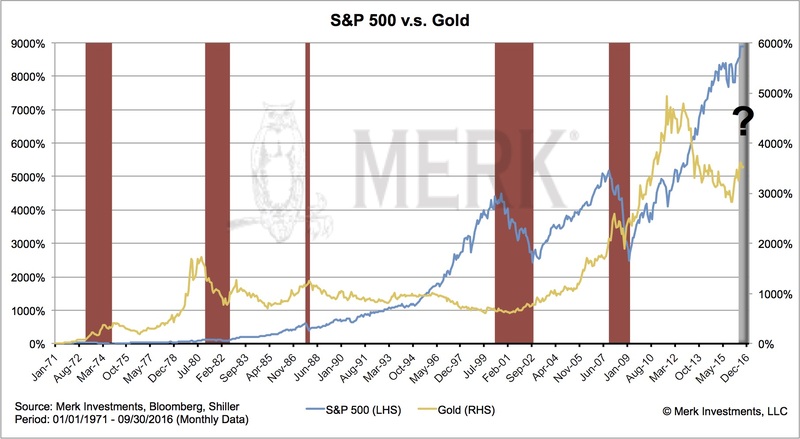 In the past, we have said gold may well be one of the ‘easiest’ diversifiers, meaning gold is easier to wrap one’s head around than, say, a long/short equity or currency strategy that, by design, may also have a near zero correlation to other asset classes. But that ‘easy’ diversification comes with a price: the low correlation isn’t stable, and there are times when correlation can be elevated. We will talk about interest rates in a second, but let me explain a fundamental reason why gold might have performed well in each of these bear markets: in an era where “risk premia” are compressed, i.e. where prices of risky assets – be that junk bonds or equity prices – are elevated, we believe those prices are vulnerable should risk premia rise once again. That is, if for whatever reason, the market is allowing risk once again to be priced more highly into assets, it could provide major headwinds to both stocks and bonds. 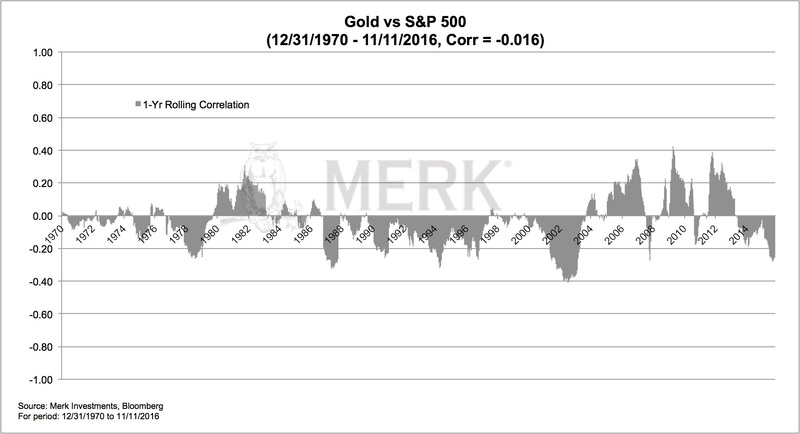 As a result, gold, with its low correlation to risk assets, might shine in a bear market. Gold to provide positive returns? While investors may appreciate diversification, they may appreciate positive returns even more. We have had a notable selloff in bonds since the election; and, as one can see from above, the price of gold has, of late, been correlated to those of bonds. So what is going on? We have often argued that the biggest competitor to gold is cash: if investors get properly compensated for holding cash, the case to hold gold, an unproductive asset, is reduced. A “proper” compensation for cash may be an acceptable real interest rate on cash. Infrastructure spending. We believe a) Trump will get at least some infrastructure spending done, and b) that it will be inflationary. Trump is a deal maker, so he may well promise some Senator their favorite bridge to nowhere if he will let him build his wall. This is a simplified way of saying that in Washington, it should be possible to spend money by making promises across the aisle, even if budget conscious Republicans object. In an environment where unemployment is already low, we believe this will induce wage inflation. Last time we checked, the government is usually not the most efficient in allocating resources, i.e. a fiscal spending program may foremost increase the deficit. Incidentally, we observe that currencies of countries where inflation ticks up often rise versus peers; while that may sound counter-intuitive, the reason is that investors assume central banks will counter inflationary pressures with higher interest rates. As such, if one believes the Fed will be “ahead of the curve”, i.e. 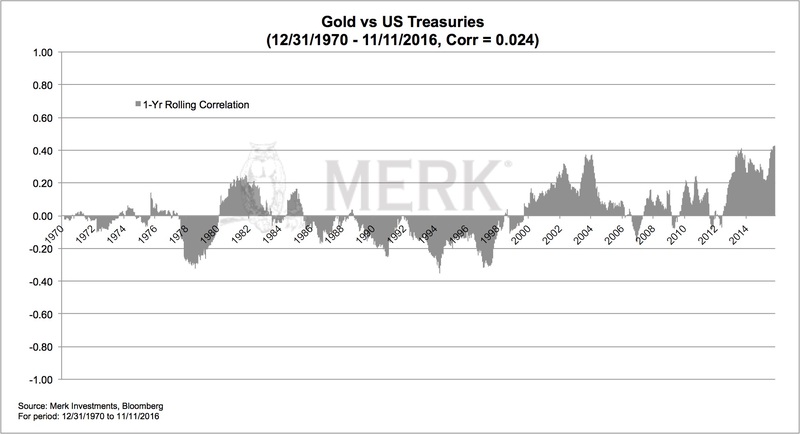 hike interest rates before inflation picks up, that would be a negative for gold. If, however, investors believe that the Fed will fall further “behind the curve,” we believe there’s a good chance gold will do well, even as nominal rates move higher. Even if Congress doesn’t pass legislation a President Trump proposes, he should have substantial influence on how agencies are run, suggesting that he should be able to execute on his promise to reduce the regulatory burden on business. If history is any guide, the pendulum is unlikely to swing quite as much as hoped for (or feared – depending on where one stands on this debate); however, on the margin, this should be a positive for investments. One of the reasons the long-term bonds have yielded so little is because businesses have preferred to purchase financial assets (e.g., share buybacks) rather than invest in real business. As such, to the extent that the selloff in the bond market reflects that businesses would now rather invest in new ventures (rather than the prospect of higher inflation), we believe it is negative for the price of gold. There’s also the proposed tax cut; we’ll have to see to what extent what is on the drawing board can be implemented, but any simplification of the tax code might also encourage investment. We have not seen Trump propose any serious fix to what may be the soaring cost of entitlements. That is, even before additional fiscal spending proposed by President-elect Trump, deficits may balloon in a few years. What we haven’t mentioned is the potential impact of a trade war. At this stage, the market appears to suggest that Trump might back off from his anti-trade rhetoric. The reason we think so is because we think the dollar is vulnerable in a trade war; that’s because we need foreigners to finance U.S. deficits; the U.K. is the latest example of a country that relies on financing from abroad to have seen its currency suffer when trade barriers have risen (a vote for “Brexit” suggests the introduction of trade barriers). The dollar might not decline versus the Mexican peso or other emerging market currencies, but it may well decline versus major currencies and gold. So what will happen to the price of gold? We expect to see a battle of the various forces discussed above. For now, the market may be pricing in stronger real growth through less regulation, with a Fed able to raise interest rates as the economy strengthens. In many ways, we have seen this movie before, with the market anticipating a rate hike due to improving fundamentals. The problem is that we have such a leveraged economy, that higher bond yields and the anticipation of higher rates may well cause risk premia to rise, i.e. volatility in the market to increase, possibly toppling over equity prices. The associated volatility may cause ‘financial conditions to deteriorate’ as the Fed likes to put it, causing them to back off from any hawkish plans. That is, the anticipation of higher real rates may fizzle out yet again, providing support for the price of gold. And aside from higher rates being a source of market volatility, it may well be that Trump policies themselves, such as the introduction of trade barriers, may cause volatility to rise and gold to benefit. In short, if investors believe the future is bright, with businesses increasing investments and with the Fed’s magic wand doing wonders to keep inflationary pressures just right without causing too much of a stir, gold might not rise in value. If however, investors believe that this tug of war between the different forces will ultimately get the Fed to be ‘behind the curve,’ i.e. 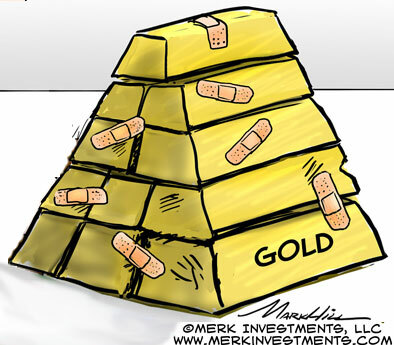 inflationary pressures to increase; or if investors believe the stock market might experience another bear market, then gold may continue to be a worthy diversifier. For those who believe that this will be a repeat of Reaganomics, we would like to caution that Reagan came into office when unemployment was much higher and with a most hawkish Federal Reserve Chair. Finally, in addition to all of the above, the Fed continues to sit on a huge balance sheet; that balance sheet hasn’t been a problem with lackluster growth; but we see major challenges ahead for both stocks and bonds if indeed we get significant growth out of the Trump policies. We shall dive into these risks more in a future analysis. We don’t have a crystal ball, but we believe in prudent risk management. As such, we encourage investors to assess the risks of certain scenarios unfolding. If we then add to that the fact that gold has a low correlation to bonds and equities, we believe investors may want to consider including gold in a prudent asset allocation. Correlation is a measure of how two securities or asset classes move in relation to each other.